New Jersey saw some of the highest ICE arrest rates over a recent month-long span. Immigration and Customs Enforcement announced on April 8 that it performed a nationwide sweep in which 123 immigrants in New Jersey were arrested. 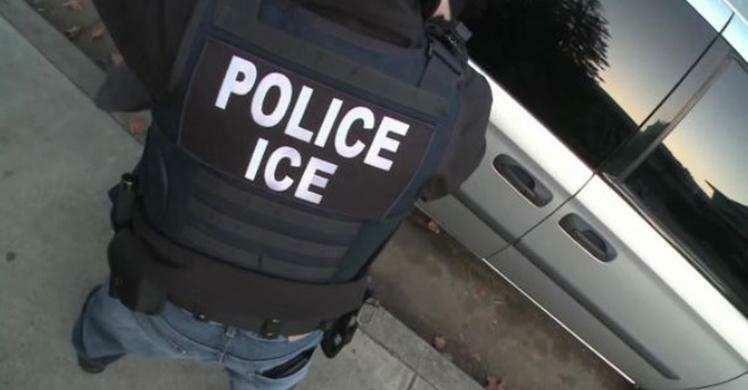 An ICE report said that officers in the Enforcement and Removal Operations Department targeted immigrants who had already been arrested, convicted of driving under the influence, or had already entered the country illegally in the past. The report stated that 90 percent of those detained by ICE officers had either prior criminal convictions and/or pending criminal charges. The other 10 percent had never been convicted of, or charged with, a crime in the United States. Out of 123 detained across New Jersey, eight of those detainees were living in Hudson County. The ICE report withheld all of the names of detainees or details pertaining to the arrests. They provided some basic information on nine of the cases, on detainees from West New York, Red Bank, Princeton, Morristown, Newark, Somerset, Plainfield, Neptune, and Hamilton. The report listed allegations that they said were connected to the arrests they made, which included a number of violent crimes and drug charges. Some other non-violent charges which were targeted in the series of arrests included promoting gambling, shoplifting, forgery, and illegal reentry. According to the ICE report, a 27-year-old Honduran national living in West New York was among those arrested. He was the only Hudson County resident named in the ICE report. ICE alleged that the West New York detainee, whose identity was withheld, had been convicted of criminal restraint, and risking serious bodily injury. The report also alleged that the detainee was a suspect in cases of DUI, domestic violence, and disorderly conduct. According to county and local officials in Hudson County, local police agencies have no authority to interfere when federal agents raid private home in an attempt to arrest undocumented residents. Some municipalities in the county have adopted “sanctuary city” resolutions. West New York adopted a similar “fair and welcoming community” resolution in 2017, which reaffirmed that all residents would be treated the same by anyone working on behalf of the town. According to West New York officials, the town’s police department does not interact or cooperate with agents working for ICE. “Our police officers treat all of our residents the same, regardless of their immigration status,” Public Safety Commissioner Gabriel Rodriguez said. Rodriguez has gone on record to say that police conduct in West New York has historically run in accordance with Attorney General Gurbir Grewal’s “Immigrant Trust Directive,” which calls for police departments throughout the state to work in standard capacity, rather than to assist ICE enforcement with resources or cooperation.